British designer Rachel Riley has been a firm favourite with the royal family since baby George could barely crawl. 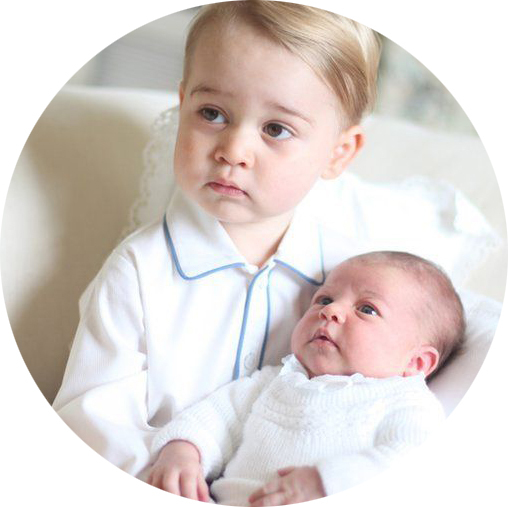 So what makes the brand so well loved by Will and Kate for their first born? With classic colours and traditional cuts, Rachel Riley is the epitome of quintessential British fashion. Drawing inspiration from past decades, the award-winning designer is loved for her traditional tailoring, hand smocking and the cutest embroidery. 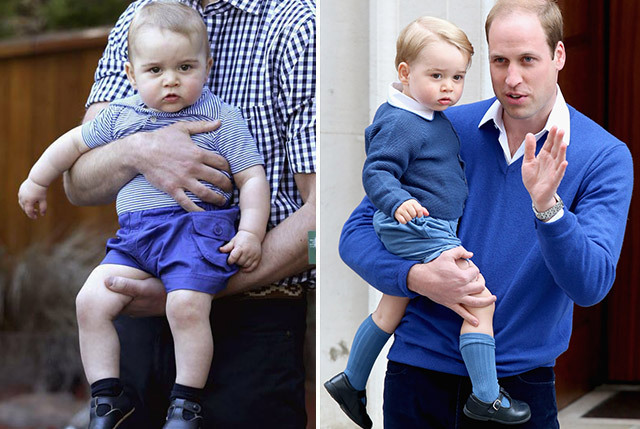 What designer could be better suited for a mini royal?! 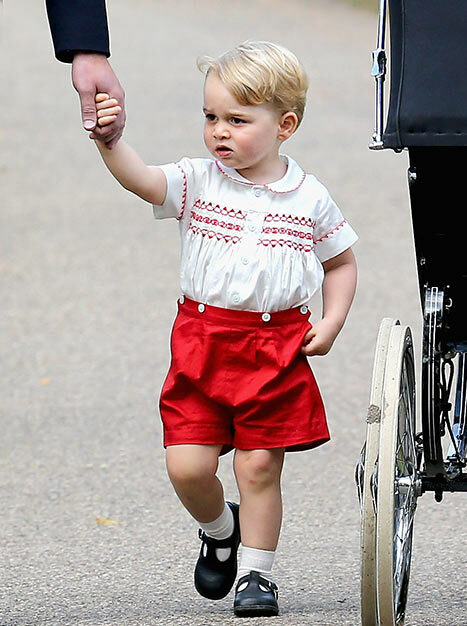 He was first snapped wearing the brand during the Royal Tour, where he wore their clothing not once, but three times during the stint across New Zealand and Australia. 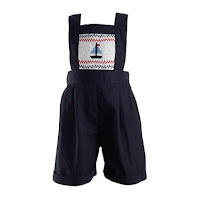 He was first spotted in a pair of dungarees with a little sailboat smocked onto the front whilst on a playdate. With their beautiful classic tailoring and being featured on the most adorable little model, it's no wonder the world went mad for Rachel Riley! 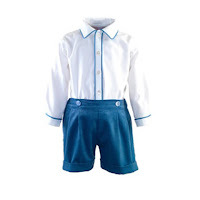 Next, he revealed a more contemporary side to the collection with their blue striped jersey polo and shorts while out on a visit to Tarongo Zoo - with all the excitable kicking and waving he was doing, he definitely needed something light and comfortable to wear! This was followed with his last appearance on the tour, where he kept cosy in a blue and white striped polo shirt, navy cotton shorts (both unfortunately no longer available) and a knitted moss stitch cardigan. He was more recently seen in Rachel Riley attire whilst visiting his newborn baby sister - an adorable blue and white cord shirt and shorts set. 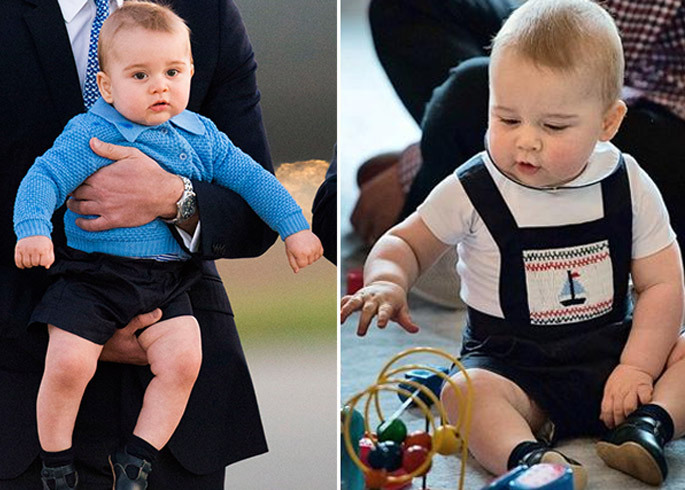 And who could forget his most recent appearance at Princess Charlotte's christening? His red and white buster suit has been so popular you're only currently able to pre-order it. We can't get enough of this brand, especially this selection of prince and princess inspired clothing, featuring tiny crown embroidery. And with an equally adorable selection of clothing for baby girls, we hope we get to see little Charlotte wearing a few of their designs in the near future!